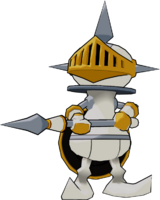 A Puppet Digimon that was born from data leaking out of a chess game supercomputer. Its power is weak, but it is promoted when it strives for prominence, and it is an ordinary pawn that conceals the mystery that it is said to possess Ultimate-class power. 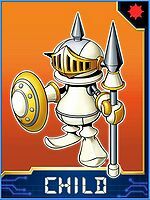 Its catchphrase is, "I only advance!" It considers its fellows who are striving for prominence ahead of it to be its rivals. 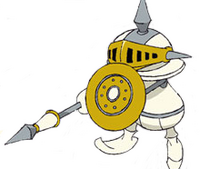 Its Special Moves are stabbing with its spear (Pawn Spear), and charging with its buckler held up (Pawn Buckler). 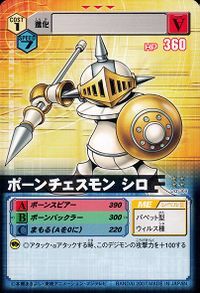 Also, when it procures rear support from its comrades, it can use a special formation that can halt the attacks of even a Perfect-class Digimon (Pyramid Formation). Anime/Manga Digimon Savers: "I am Masaru! Cockatrimon Strikes"
Charges with its buckler held up. Pawn Spear  ポーンスピアー Pōn Supiā Pawn Spear/Bone Spear Stabs with its spear. A furious charge with its spear. 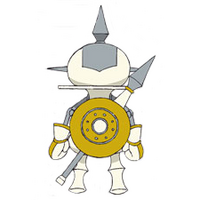 Turns around and throws itself backwards at an enemy, hitting them with its buckler. 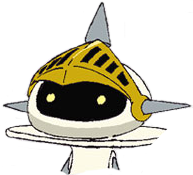 Fires a shockwave with a lightning fast strike of its spear. 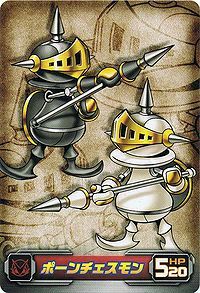 Uses a special formation after procuring rear support from its comrades, allowing it to halt the attacks of even an Perfect-class Digimon. 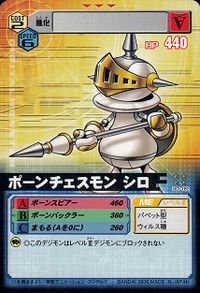 Checkmate Break  チェックメイトブレイク Chekumeito Bureiku Storm of Steel Uses a special formation with its comrades and a Knightmon, surrounding them with an aura and then stabbing together at the opponent. 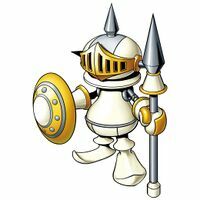 Pawn Chessmon (White) is the partner of Shirakawa Megumi. 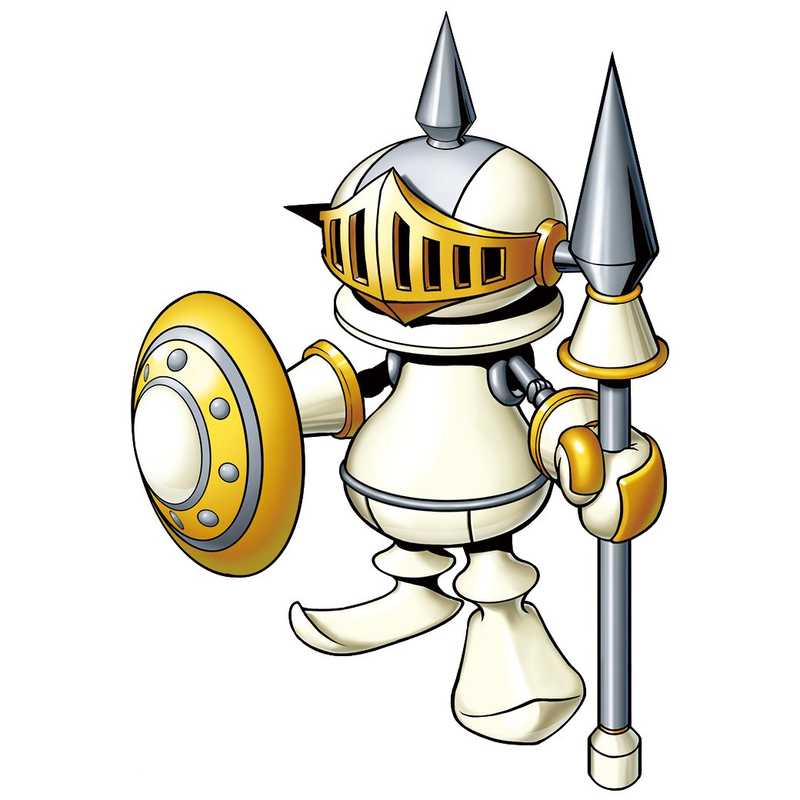 Pawn Chessmon (White) is only obtainable as a collectible card. 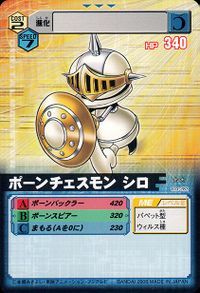 Its card is part of the Chess Digimons (チェスデジモンズ Chesu Dejimonzu) set. 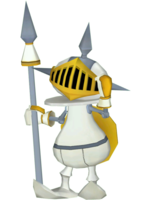 PawnChessmon statues are part of the decoration for the story mode version of King's Castle. 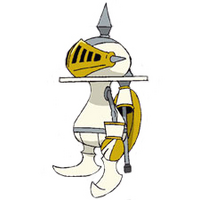 Pawn Chessmon (White) is available as a Digimon Medal. 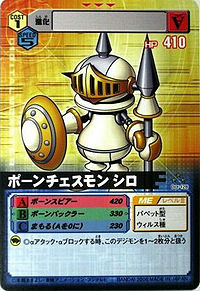 Pawn Chessmon (White) is available as a Digimon Card. Can be obtained as a Burst Evolution of Wanyamon. ↑ Digimon Xros Wars: "Taiki, Become a Knight"
↑ 8.0 8.1 Digimon Savers: "Demon Lord Belphemon is Revived"
↑ Digimon Xros Wars: "X7 of Bonds! The Great Battle with Gravimon!!" ↑ Digimon Xros Wars: "Xros Heart, Burn!" This page was last modified on 3 March 2019, at 22:47.